﻿The St. Thomas Orchestra was co-founded by Bernard Tamosaitis and Peter Arike in 2002. Among its ranks today can be counted a broad spectrum of professionals in the arts, sciences, law, finance, medicine, and business. Members in the orchestra range in age from 15 to 85 and are united by a common commitment to the pursuit of musical excellence. Over the years, we have evolved into a uniquely diverse organization of remarkable depth and it is our privilege to perform great symphonic music for our community. The power of music is to transport us outside of day-to-day concerns and into an unfettered realm of private and communal epiphany. It is our hope that the orchestra will serve as a bridge to make great symphonic music more accessible to our community. The power of music is to transport us outside of day-to-day concerns and into an unfettered realm of communal epiphany. It is our hope that the orchestra will serve as a bridge to make great symphonic music more accessible to our community. 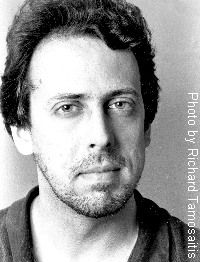 Bernard Tamosaitis was born in Brooklyn, New York and studied at the Juilliard School with Channing Robbins, where he graduated with a B.A. in violoncello in 1979. Mr. Tamosaitis was co-principal of the Bellas Artes Orchestra of Mexico City and a section member of La Filamonica de las Americas which toured Central and South America. Mr. Tamosaitis subsequently became a member of the Quinteto de Xalapa, a resident chamber ensemble at the University of Veracruz, which performed extensively throughout Mexico and Latin America. As cello soloist, he has performed on tour with the New York Symphonic Ensemble, and with the Sinfonica de El Salvador, the Sound Shore and St. Thomas Orchestras. Mr. Tamosaitis is a member of the Ridgefield (CT) Symphony and Canta Libre, a chamber ensemble which frequently performs throughout the region. Canta Libre’s recent CD of French chamber music for harp, flute and strings, which was produced and recorded by STO friend and violinist soloist Ray Iwazumi was hailed by BBC Music Magazine. Mr. Tamosaitis founded the St. Thomas Orchestra in 2002. Since then he has experienced the pleasure and pride of overseeing the considerable growth and musical development of the orchestra, which today can be counted as one of the most accomplished and inclusive in Westchester County. Mr. Tamosaitis is married to the lovely and talented Sayuri Iida, a frequent piano soloist with St. Thomas Orchestra. They have two children, Alexis and Lori and reside in Rye Neck.